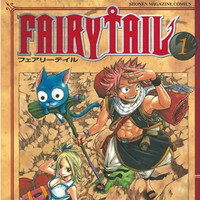 While preparing his new original manga to launch in late June, Hiro Mashima is also confirmed to be attached to a sequel (second season) to his internationally popular action fantasy manga series Fairy Tail as supervisor. 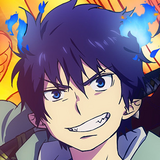 And a new spin-off manga is also planned. 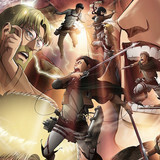 The news was revealed in this year's 19th issue of Kodansha's Weekly Shonen Magazine released today in Japan. 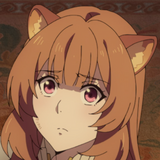 It means that at least the sequel will not be illustrated by the original manga creator. 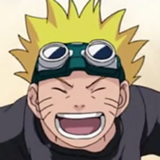 It is the same case with Boruto: Naruto Next Generations, which is illustrated by the original Naruto manga creator Masashi Kishimoto's assistant Mikio Ikemoto. According to the announcement, the sequel will tell a future story that is connected to the original manga's final chapter, focusing on the present of "Fairy Tail." More details including their titles and illustrators will be announced in the magazine at a later date. 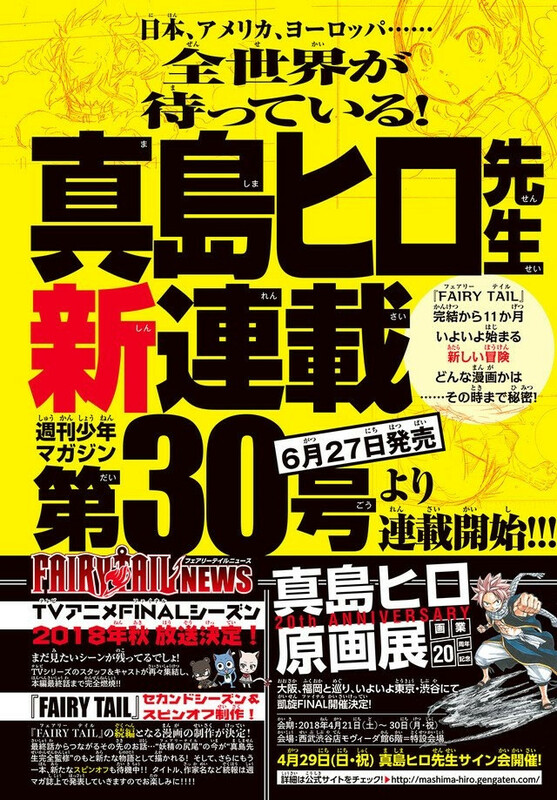 Magazine's upcoming 30th issue to be released in Japan on June 27.